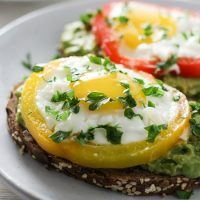 This Egg Avocado Toast makes a super healthy breakfast or brunch because it’s very filling and full of awesome nutrients. 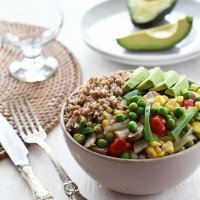 It also includes my favorite healthy fat from avocado. 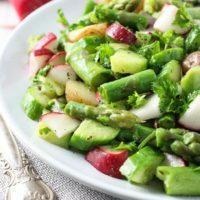 In addition, it can also be served for lunch or dinner paired with a side salad. I absolutely love the fact that it takes only a few minutes to prepare. 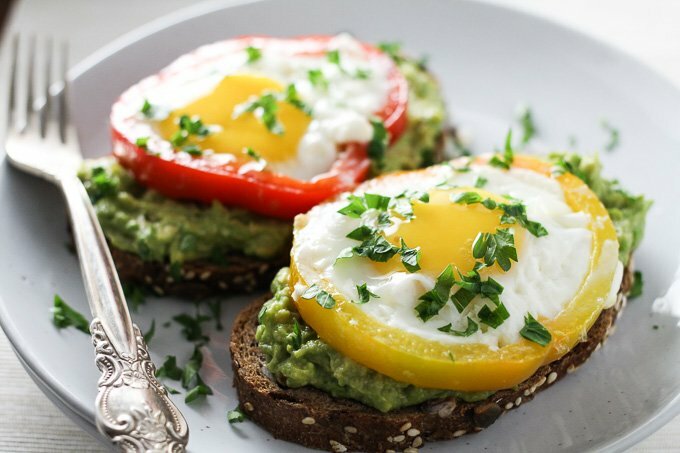 You just need to fry the eggs, mash the avocado and make the toast. What can be simpler than that? 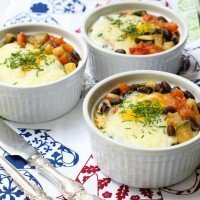 The bell pepper slice makes for a nicer presentation and also adds some flavor. Lemon juice prevents the avocado from turning brown. 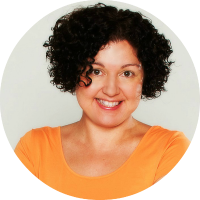 Nutrient-dense parsley complements the colors and also adds a lot of vitamins and minerals. 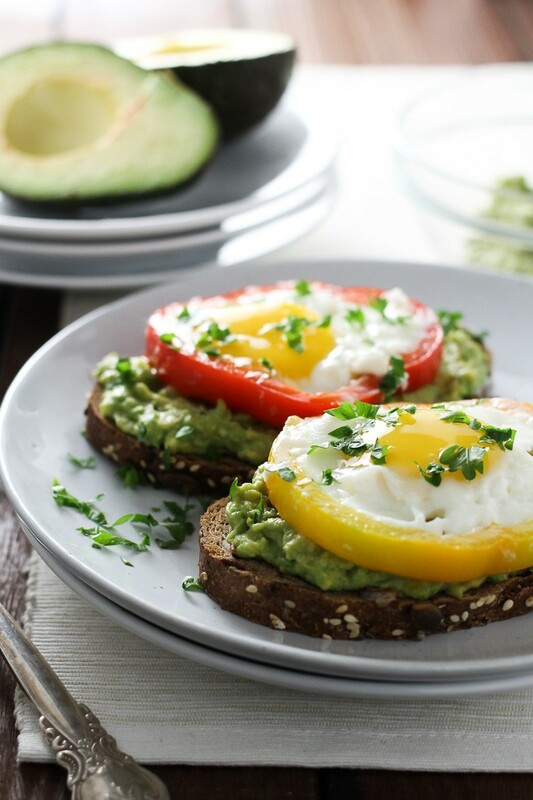 This egg avocado toast is also great for lunch or dinner. 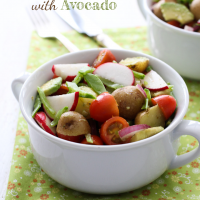 Just serve it with a large salad or a vegetable side dish together with a few spoons of healthy whole grain. 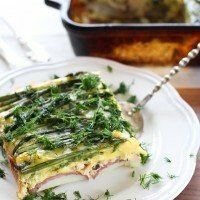 If you are looking for more ways to serve eggs for breakfast or brunch, check out this Asparagus and Salmon Egg Bake, this Baked Eggs with Beans and Veggies, and these Sunny Side up Eggs with Veggies. 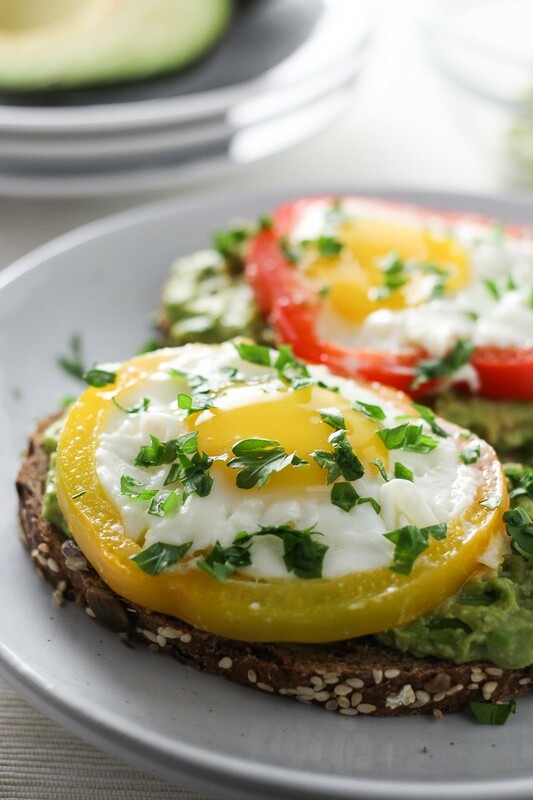 This Egg Avocado Toast is healthy and very easy to make. 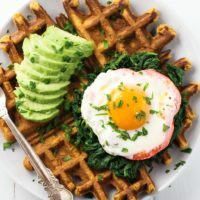 It’s perfect for breakfast or brunch and can also be served with a side salad for lunch or dinner. In a small pan, heat the olive oil over medium heat. Place the bell pepper ring on the pan. Carefully break the egg in half and place it directly into the ring. In the meantime, scoop the avocado flesh into a small bowl and mash it with a fork. Sprinkle with lemon juice and spread on the toast. Nutrition information is a rough estimate for 1 egg avocado toast.